The Beanies podcast encourages active listening for kids and best of all is a screen free, guilt free break for parents. Available on the Kinderling Kids Radio App or where ever you get your podcasts! Learn more about the podcast and take a listen below! Kids ask all kinds of crazy and random questions, like “What is electricity?” or “Where do sneezes come from?”. The Beanies are here to answer all those questions, even the weirdest ones like “Why can’t sharks play jazz?”. Instead of staring back at them blankly or desperately trying to find an answer while maintaining an air of authority, distract them with this podcast. The Beanies answer all the big questions with song, silliness and fun! Plus, it’s an awesome way to get kids off their screens, and start using their imaginations instead. 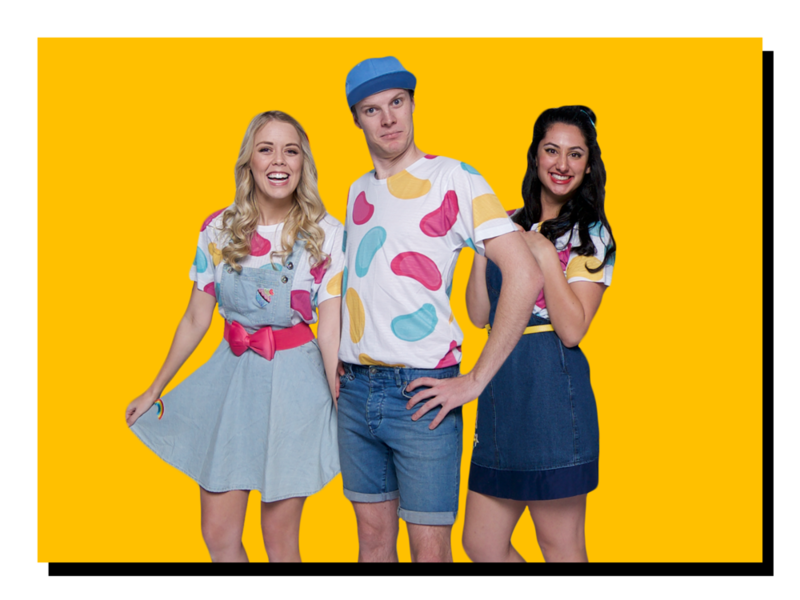 The Beanies have a brand new season Big Day Out just for kids on Kinderling Kids Radio. Listen on the go with the Kinderling Kids Radio app or even Apple Podcasts. You can also find us on all major podcast platforms!